The Loire Valley holds a special place in my heart. 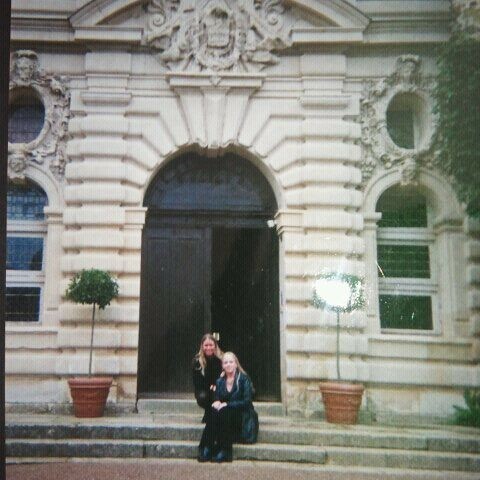 Back in 1999, my sister and I traveled by train from Amsterdam to Brugge, from Brugge to Paris, and then from Paris to the beautiful Loire Valley via Angers, France. 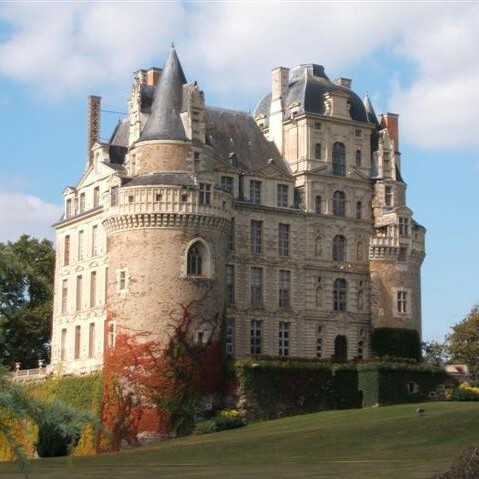 Spending several days in each location, our last few days were spent on an adventurous rental car drive through the Loire, where our destination was a stunning castle named Chateau de Brissac. The train we traveled on from Paris to Angers was an old rickety train, crowded with Parisians who glared at us with our over-sized luggage. This must have been pre-TGV (France’s high-speed train) days, because this train was extremely old, mostly wood, and all the windows were down so the fresh, cool breeze kept me wide awake while the train’s motion of rocking back and forth attempted to lull me to sleep. When we arrived in Angers, we rented a car, received a “castle” map from the car rental agency (this was also pre-GPS days) and headed out of town in the direction that the agent had told us to go. Once we opened our castle map, there was no Chateau de Brissac listed anywhere on the map – and so our adventure began. After spotting a tourism office symbol on a building in a very small, quaint riverside town about an hour out of Angers, we parked and much to our dismay, it was closed. In fact, everything was closed and the town was totally quiet and still – it must have been what France’s neighboring Spain calls siesta. So, we got back into the car and headed over the small bridge directly into the Loire’s sunflower filled countryside – determining our turns and direction solely on instinct. I’ll never know exactly how we found Chateau de Brissac, but I distinctly remember seeing the castle’s towering beauty from a distance and recognizing it instantly – Chateau de Brissac is the tallest castle in the Loire. We were the only two visitors staying at the castle, along with the Duke and Duchess of Brissac, who reside in a modern-day renovated portion of the castle with their children. They were the most gracious hosts, and their 1998 Cabernet Franc is the reason why I write about wine today. In an interview with Snooth, “Getting to know Julia Crowley,” the whole story of my very first “aha” wine moment is explained in detail. Our stay at Chateau de Brissac was nothing short of absolutely amazing. I have always loved the Loire Valley since our experience there. We found out later that Chateau de Brissac is only about a 20 minute drive from Angers, so our entire day of driving through the Loire Valley countryside was an unintentional adventure that holds unforgettably beautiful memories; perhaps we drove through or passed by Vouvray, I will never know. But the next time I visit the Loire Valley (which tops my list of places to return to in France), Vouvray tops of my list of places to visit in the Loire. 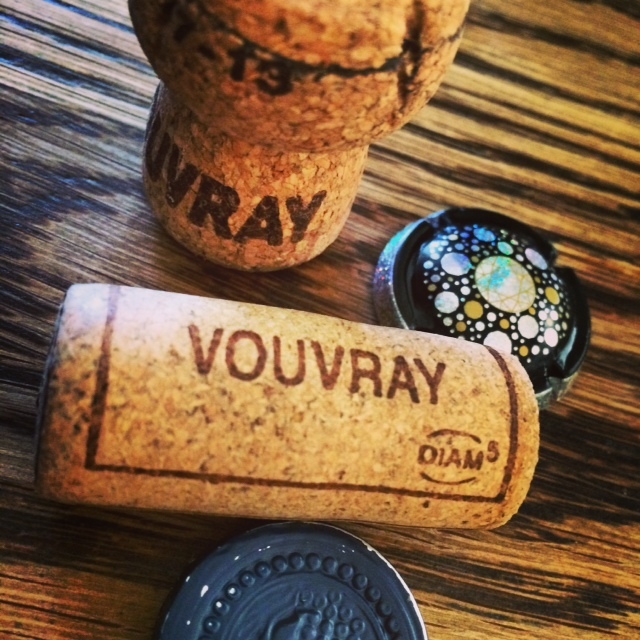 The Vouvray wines we sampled in an outstanding Snooth tasting with Snooth’s Editor in Chief, Gregory Dal Piaz, and Master of Wine, Christy Canterbury, were incredibly impressive. Not only in vibrancy of flavors, texture, complexity and depth of character, but the ever so impressive value – the quality wine for the price is unbelievable, and it’s mainly because Vouvray is somewhat undiscovered. Chenin Blanc is the wine grape varietal planted in Vouvray; therefore, like all Chablis is Chardonnay, but not all Chardonnay is Chablis, all Vouvray (sparkling and still) is Chenin Blanc but not all Chenin Blanc is Vouvray. I found both of the wines that I tried, one still and one sparkling, to have similarities of pure, focused and clean qualities. The varietal’s true characteristics shined with aromas of honey, straw, white flowers and spice. 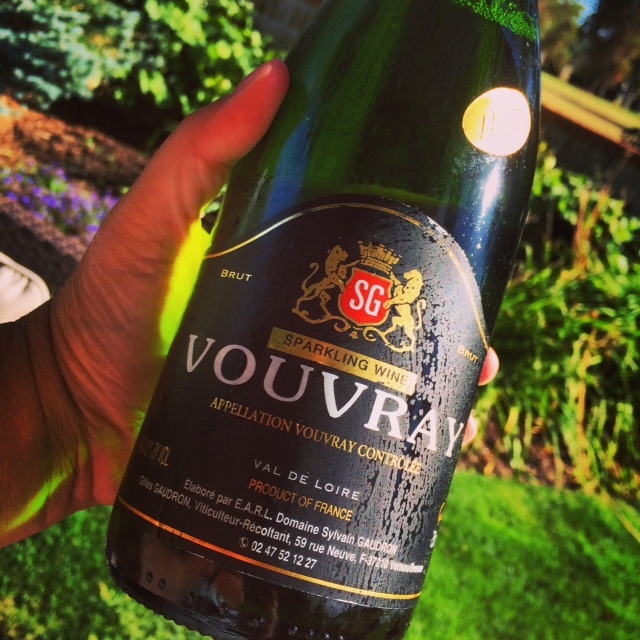 About 50 percent of the production of wine in Vouvray is sparkling wine, so we started the tasting with the Sylvain Gaudron Vouvray Sparkling Wine 2011 ($22). What an incredible value for such a fantastic sparkling wine. Vibrant and very interesting aromas of minerals, honey, apricot and lemon popped from the glass where thousands of tiny, tight bubbles streamlined towards the rim. Flinty on the palate, complex fruits and minerality with some nutty characteristics were dominated by a lively, bright, clean mouthfeel and really beautiful zippy acidity. Others in the tasting mentioned chalky, oyster shell characteristics, but I didn’t get this. Then again, I am not totally familiar with Vouvray, and apparently this is a common characteristic. Regardless, I savored every sip – immensely. It was easy to drink , totally enjoyable with every sip, and a steal at $22 dollars. There were a total of four Vouvray wines in the tasting, and each of the wine writers that regularly participate in the Snooth tastings received two bottles each. Each of the four wines sampled were given rave reviews by everyone participating in the tasting. 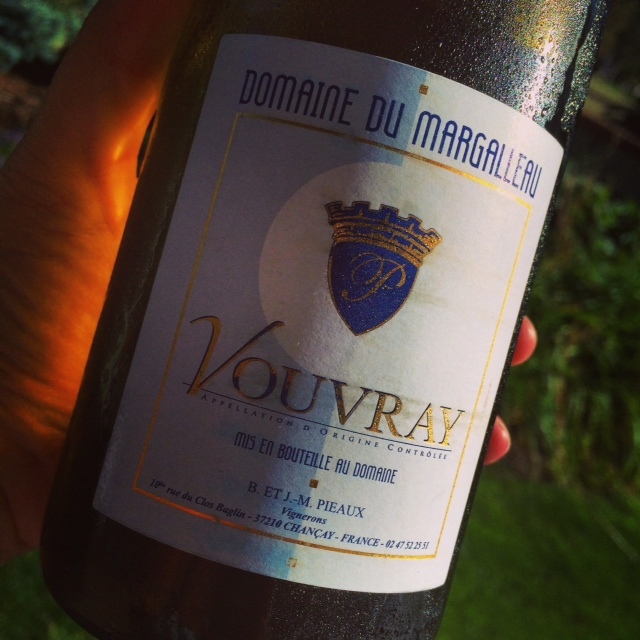 The other bottle I received was a dry white still Vouvray that was just as palate pleasing and easy to drink as the Gaudron sparkling: Domaine du Margalleau Vouvray Sec 2012 ($15). Soft and delicate on the palate, aromas of toasted almond and stone fruit were highlighted, once again, by intense, magnetic mineral notes. The mouthfeel was pure and focused; lovely honey notes, spice and a solid acidic backbone were evident on the finish. It’s the type of wine that you don’t want to put down. Just grab a glass, put your feet up, sip and relax. Vouvray has a cold, damp climate and the vineyards are planted on plateaus along the Loire river and along the tributaries that feed into it. Much like our climate here in Oregon, Vouvray has major vintage variation due to the drastic changes in climate conditions from year to year. In warmer years, there will be a higher production of sweeter dessert-style wines, while the cooler years will see more production of dry (sec) Chenin Blancs that are characterized by the natural high acidity of the varietal. Because of the vintage variation and the naturally high acidity of Chenin Blanc, Vouvray is most definitely my type of wine region. I prefer wines from cooler regions where wine grapes are more concentrated and have higher acidity; especially, when the varietals’ characteristics shine like they do with the Vouvrays. Indeed, I need to head back to the Loire Valley, and this time, I’ll be spending time sipping high quality, great value, pure Chenin Blanc in Vouvray. Je t’aime, Vouvray! To watch bits of the video that took place during the live Snooth virtual tasting with Gregory Dal Piaz and Loire expert, Christy Canterbury, MW, follow me over to Snooth.com. 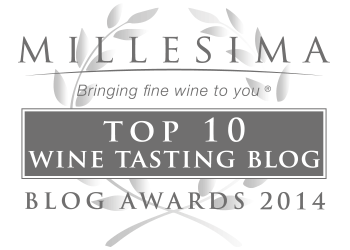 Thanks to the fine folks at Snooth and LoireValleyWine.com for inviting me to participate in such a fantastic tasting. Thanks to Christy Canterbury, MW, for her expertise.